One of the only places Sakura (Japanese Cherry Blossom) can be found in Hawaii is in Wahiawa because it is cold enough during the winter for the flowers to bloom. 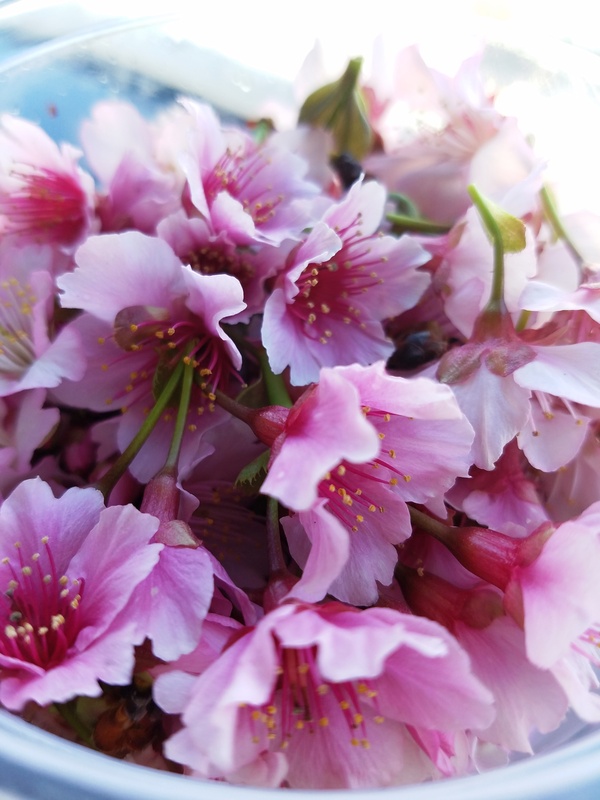 According to an article published several years ago in the Honolulu Advertiser, the sakura trees were brought to Wahiawa from Okinawa by Choro Nakasone in the 1950s. One of our team’s favorite memories of visiting Japan was being there during Sakura season. 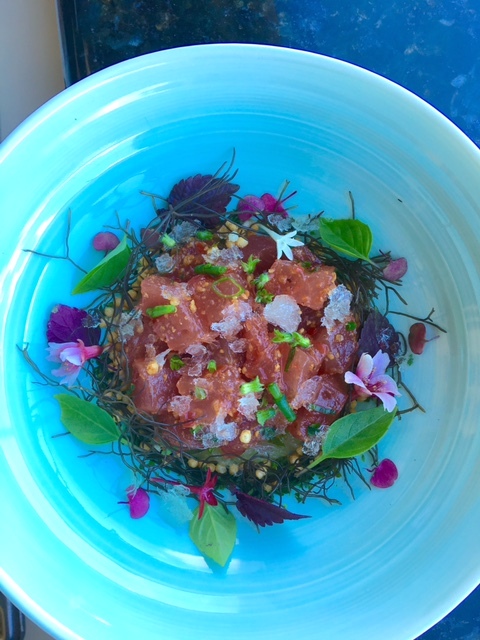 It was always such a beautiful sight to see all of the pink blossoms on the trees, and it’s a treat for us to be able to use these beautiful flowers from my hometown on some of our dishes.